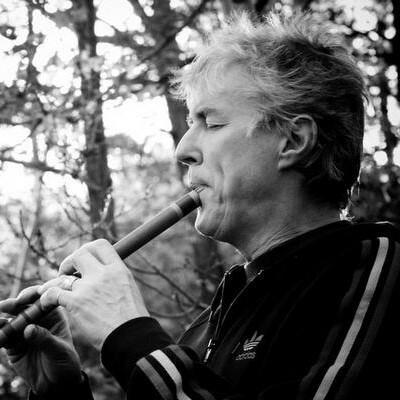 Tony Hinnigan is an accomplished woodwind player, and multi-talented musician. Born in the 50s in Glasgow, he arrived in London in 1972 with Mike Taylor. After studying at the Guildhall School of Music and the Royal College of Music, they formed the group Incantation in 1982, specializing in wind instruments of the Andes. The first albums and singles were a success in the United Kingdom. Then, in 1985, he participated in the soundtrack of the film The Mission composed by Ennio Morricone… music that was nominated for an Oscar, a Golden Globe and BAFTA Awards. Therefore, it attracted the attention of film music composers such as James Horner, John Williams (Far & Away), and Michael Nyman, with whom he toured worldwide. In 2003, Tony Hinnigan released an album where he performs cover songs from soundtracks he participated in: Camera: Reflections on Film Music.